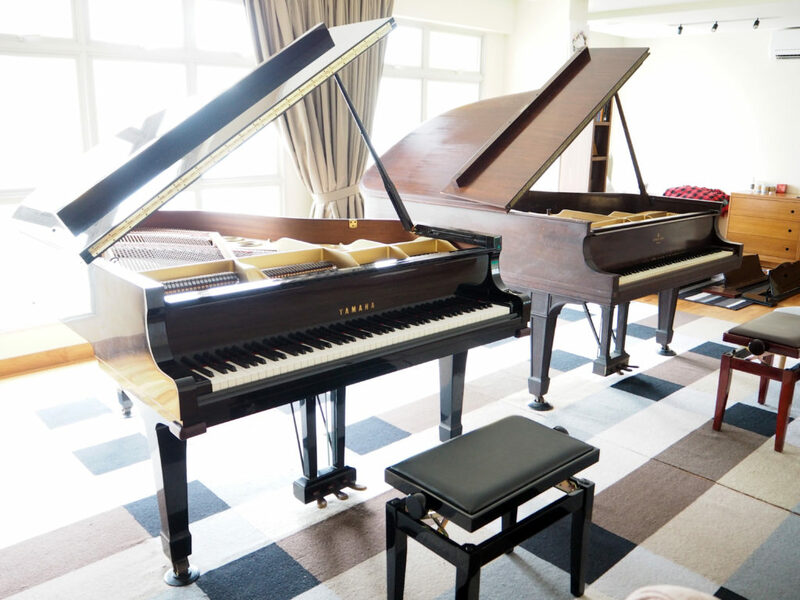 Pianos have been long regarded as a bit of a luxury for home owners in Singapore—not simply because of price, but the lack of space in a flat. 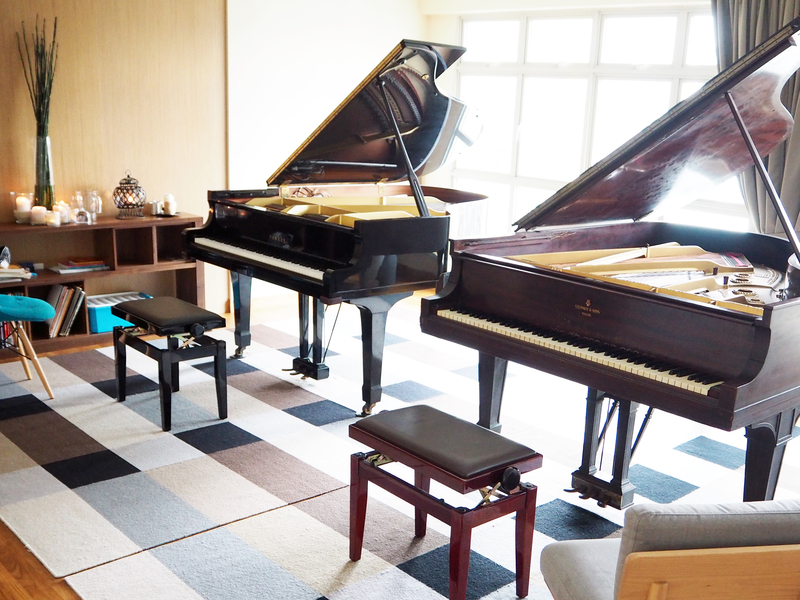 However, Music Express has had the rare opportunity to move three pianos recently for Ms J, into her Built-to-Order flat in the North East of Singapore. “The previous movers told me the elevator was too small for the grand piano. I wrote in to HDB and the minister of my district to ask if I could possibly remove the handle bars in my block’s elevator. I absolutely had to get this piano in, by hook or by crook,” Ms J enthuses. Her deep affection for the pianos in her 5-room flat almost compares to her sterling reputation as a renowned concert pianist and teacher. Upon opening her front door, one’s impression of a Singaporean flat vanishes almost instantly. Two 6-foot grand pianos, one a 20 year-old Yamaha G3 and the second, a Steinway grand built in 1914, sit beautifully on an expanse of solid parquet. Facing a wall of floor-to-ceiling windows, the pianos appear unrestrained in its existing space. In fact, the two grand pianos seemed to elevate the illusion of spaciousness in Ms J’s apartment. Ms J’s first piano, an upright Yamaha piece, nestles cosily in one of the bedrooms. 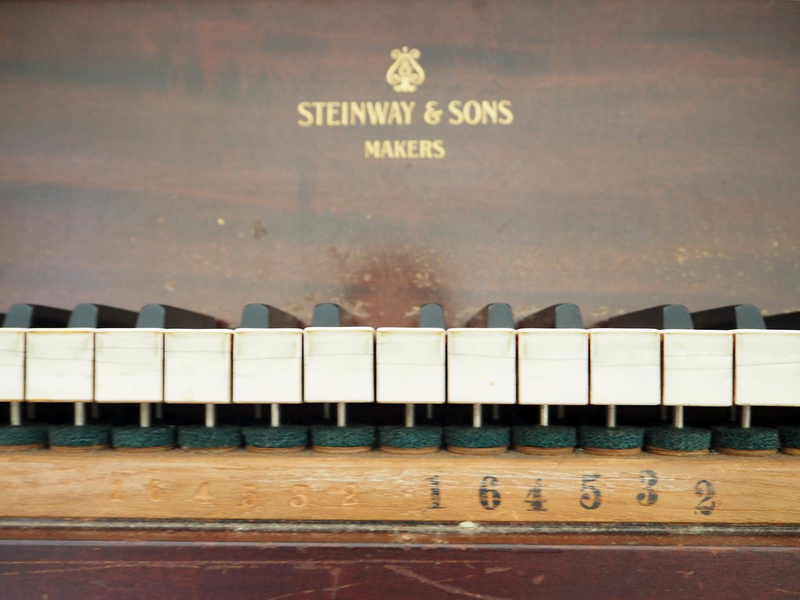 Ms J’s experience with piano movers extends to the U.S., where she found her prized Steinway grand. “I had to hold my breath every time a move had to be done,” she laughed. While waiting for the Steinway giant to be shipped back to Singapore when she relocated back home, Ms J had “many sleepless nights”. Now, Ms J lives with the assurance that her pianos can be moved comfortably and safely in and out of her BTO flat. No cranes needed, no bars needed to be taken out of the elevator. Until the next move, this apartment will continue housing her three beloved instruments of her lifelong passion and career. *names have been changed in this article to protect customer’s privacy. 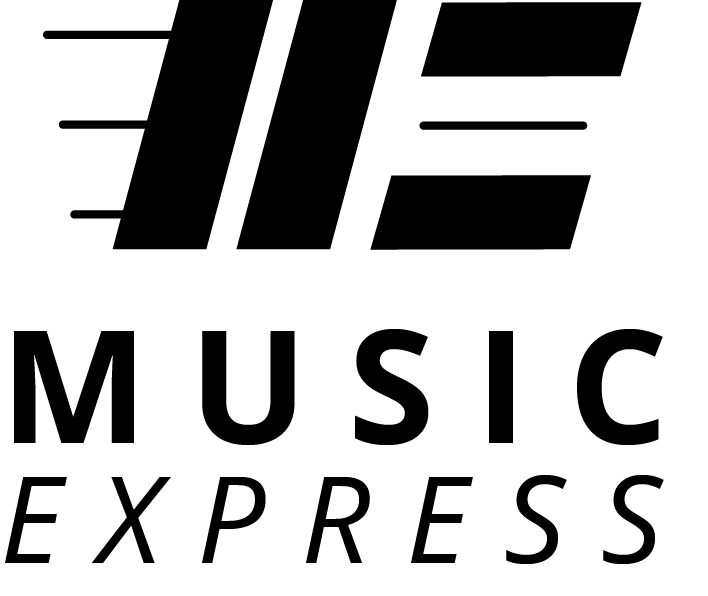 Written by Bird & Seed for Music Express Pte Ltd.
Music Express is Singapore's leading logistics specialist for musical instruments, especially pianos. Our history stretches past 40 years ago. 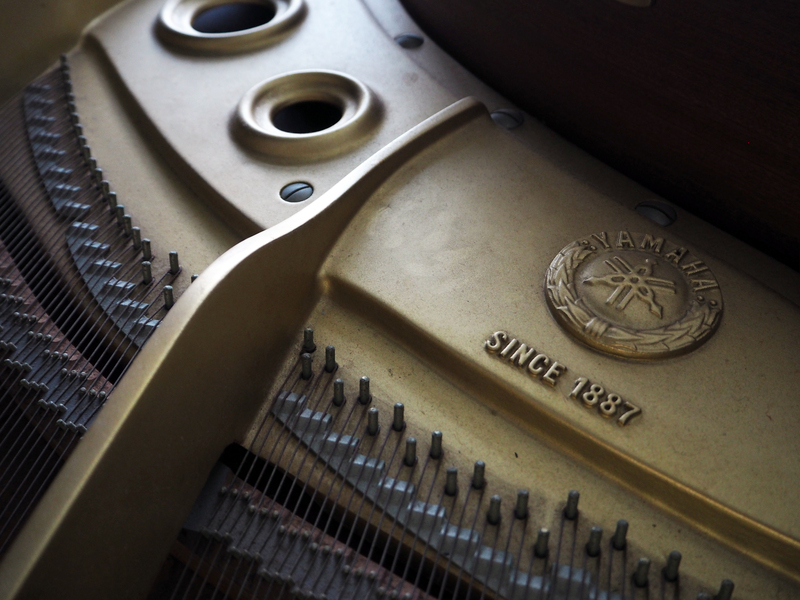 We continue to be the authorised logistics partner for Yamaha Music Asia (Singapore), and are appointed piano movers for many other notable brands such as Steinway & Sons, Bösendorfer, Steingraeber & Söhne, Fazioli, Schimmel, etc.